Outstanding Hacienda Carne Asada Plate! Probably one of the more stunning dishes I’ve been served at Hacienda Casa Blanca in El Cajon. A huge portion of their char grilled tender, flavorful carne asada steak is served with a tasty cheese enchilada, rice (& beans) and hot, supple tortillas. Kaminski’s Sport Lounge and BBQ is one of my favorite places to eat in Poway! I went all out and ordered one of their “Amazing Melt Sandwiches”. Choice of brisket, pork, salmon or chicken, topped with 3 cheese mac & cheese, caramelized onions on grilled sourdough with melted cheddar! Comes with your choice of side. I got the fries which you can get garlic style. I highly recommend those! They also have beans, tater salad, chips, slaw and what not. Brisket was slightly dry, although still tasty with a good chew. Mac was decent, fries were hot & fresh. Garlic is a must! All this in sandwich form is something to behold. Kind of a hot mess but really delicious. This place is super top shelf, modern, clean, etc. Outstanding, professional service too. Worth a visit if you’re ever in the Poway area. Outstanding filet mignon Oscar style at Ruth’s Chris! Their excellent beef tenderloin steak crowned with a beautiful crab cake, asparagus and a luxurious béarnaise sauce. 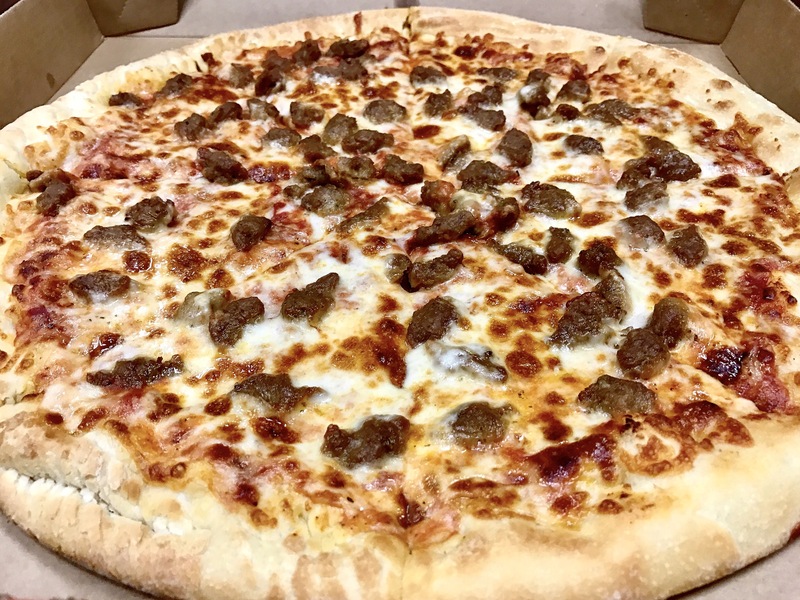 San Diego Food Reviews is a great new FB group we’re trying to get off the ground. Anyone who likes to eat in SoCal is welcome to join and contribute their opinion! Jimbo’s is a small chain of natural foods grocers here in SoCal. They have a great fresh deli section with housemade sandwiches. Pretty pricy, but here’s an outstanding made to order turkey sandwich. They call it “The Natural”. 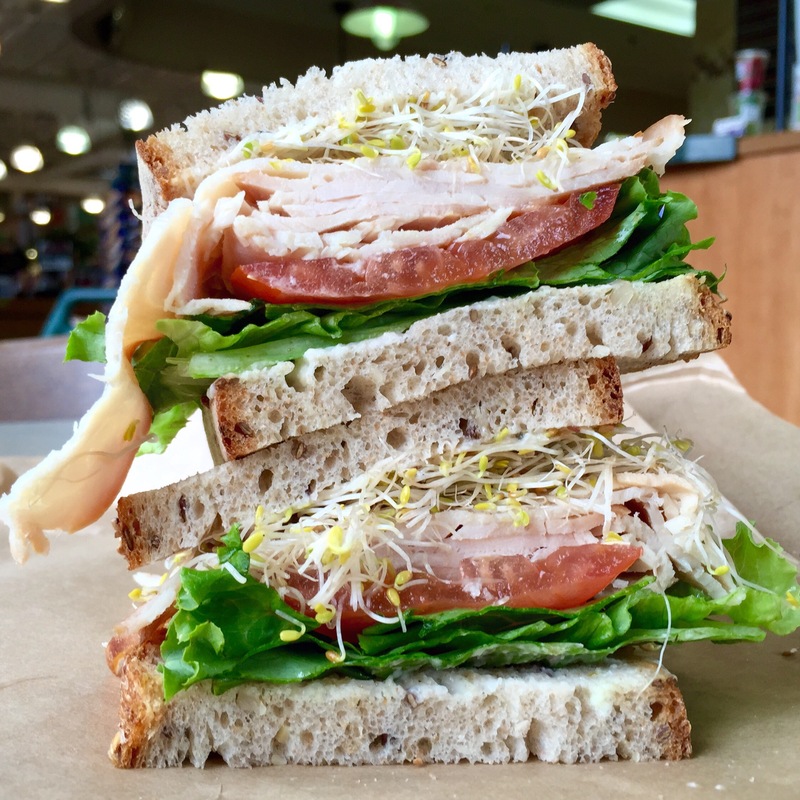 Made with layers of fresh, natural turkey breast piled high with organic lettuce, mater and sprouts. Includes Jimbo’s own organic herbal eggless mayonnaise on a 6-grain bread. This is a great new place in Rancho Bernardo, barely a year old. Tucked in an obscure commercial industrial area, you’d never know it was there if not for the tacky banner flags they have out front. Here’s an order of tasty chicken wings. Made with salt & pepper, garlic, red chile and scallions. Lunch order comes with a good amount, but they could be a bit bigger. Food Observations was born two years ago today and I enjoy sharing now more than ever. Thanks for all the follows and likes. Here’s a lonely muffin from a recent stay at Embassy Suites. I originally had no plans to post this one, but the color of the plate keeps jumping out at me.